You are here: Home / 2017 / It’s Monday! What are you Reading? 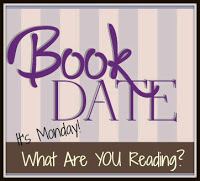 It’s Monday, which means it is time again to hook up with the dedicated readers of the Book Date Blog and start talking about the kinds of things we’re all currently reading. First, I want to say that we saw Hamilton over the weekend, and it was marvellous! More on that later, because it’s all about books today, right? I’m gutted, as you can tell, that I have to wait for more Game of Thrones, as you can see that 2 of the current books I am reading are about it! Hollywood Dirt was recommended to me, as I am trying the genre and there’s a new movie out about it. And Alex, Approximately looked too good to pass up! I will also be reading something else really soon, thanks to my Uppercase subscription. So far, box #2 has been way cooler than my first! I hope you enjoy your Game of Thrones books while waiting for the next season. Come see my week here. Happy reading!